Howie (Giles) has 2 very recent book announcements. First is Giles, H & St. Clair, R. N. (Eds.). (2018). 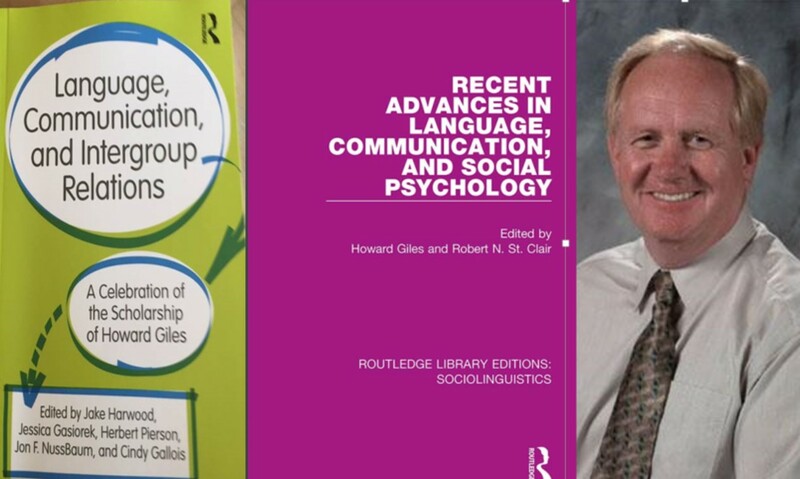 Recent advances in language, communication, and social psychology. London, UK: Routledge. This is a reprint of his 1985 book with Erlbaum that is appearing in a series from another Publisher relating to now a different discipline, viz., Routledge Library Editions: Sociolinguistics #3. Second is a book/festscrhift hot-off-the press (2019 imprint) with 53 contributors from around the social sciences.